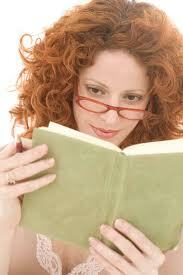 Ten Reasons You Should Be Reading | Speed Reading Plus Blog! Seeing an article on the benefits of reading in This Week’s Best of Upper Arlington supplement, I did some research online to discover how many ways reading really is good for us. Consider the list below of some of the things reading will do for you. Make you smarter. Reading makes you more knowledgeable and sharpens your analytical skills. People who read throughout their lives have sharper brains in old age. The Atlantic did a study proving that reading a novel actually changes your brain. Build your vocabulary. Even if you don’t get out your dictionary and actually look up new words in your reading, from context you’ll figure out what the words mean. Continual exposure to new words–and ideas–will work their way into your everyday conversation. Improve your writing. Being exposed to good writing will make your own writing better and easier. Improve your concentration and focus. Texts and tweets have shortened our attention span. Reading a book for 20 to 30 minutes at a time teaches you to focus on the story and shut out the rest of the world. Regularly reading a longer text will make you better able to concentrate on other work- and school-related tasks. Stretch your imagination and pump your creativity. Escaping into a fictional world transports your imagination and makes you more creative. Novelists, playwrights, and poets were readers before they were writers. Make you more empathetic and possibly telepathic. By identifying with fictional characters and their plights, we become more empathetic towards real people. Research of a study published in the journal Science concluded that reading literary, or character-driven, fiction increased a person’s ability to read the thoughts and feelings of other people. Relieve stress and ease depression. Bibliotherapy is one of the best ways to deal with anxiety. Immersing yourself in a book will distract you from your troubles even more than music, a cup of tea, or a walk. Help you sleep better. Because reading is calming, doing so before bed is a great way to ease into sleep. A word of caution: Don’t choose a book that’s too gripping, or you’ll forgo sleep altogether. Enhance your memory. Reading a book requires you to remember so much: all the characters and their backgrounds and motives, as well as the overall plot and subplots. This is excellent exercise for your brain’s short-term memory because, not only are you creating new memory, but you’re strengthening old ones as well. Possibly reduce your risk of Alzheimer’s disease. According to research published online at Neurology, readers are less likely to contract Alzheimer’s disease. But the research only points out an association; it’s not conclusive that there is a cause-and-effect relationship. Best of all reading can be free. Patronize your local library, and it won’t cost you a cent. There are also websites that let you download free eBooks to your favorite electronic device. Don’t be afraid to get out of your comfort zone. Read a classic, or an epic poem, or a Shakespearean tragedy. These will reap great rewards. Some people find that taking a course that increases reading speed, comprehension, and retention increases the enjoyment and interest in reading. This entry was posted in reading, speed reading and tagged Alzheimer's disease, analytical skills, books, classics, creativity, empathy, imagination, knowledge, Maya Angelou, reading, speed reading, speedreading, telepathy, This Week, vocabulary, writing. Bookmark the permalink.